Happy Memorial Day everyone. Check back with us tomorrow. 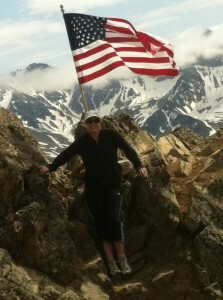 Memorial Day has always signaled the start of summer for me. And what a wonderful way to begin our 15 weeks of summer, but with a holiday that commemorates those who fought and died to ensure the freedoms that underscore our enjoyment of summertime. Enjoy your leisure time over the next 15 weeks. Travel the country. Visit a historic civil war battlefield or travel to Washington D.C. to visit the Smithsonian Institute or the National Archives. You can see the original, founding documents there. 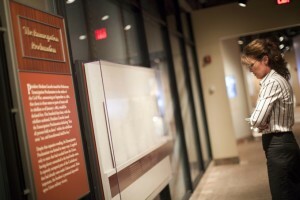 Immerse yourself in showing your kids our history, because our history is rich and meaningful. I guarantee you, they will be spellbound to hear about the Battle of Gettysburg, or “the shot heard round the world” in Lexington. I was always focused on making sure that my kids had the opportunity to enjoy their summers. Whether playing baseball, swimming in a pool or lake with their friends and then enjoying hamburgers on the grill after a full day of fun, summer was defined as just that, FUN! The Founders of Rolling Thunder were ordinary men who understood that they had a right to have their voices heard and proceeded to lay down the plans for a gathering in Washington, D.C. during the 1988 Memorial Day weekend. They reached out to their families, fellow veterans and veteran’s advocates to unify and form a march and demonstration in the nation’s Capitol. Their arrival would be announced by the roar of their motorcycles, a sound not unlike the 1965 bombing campaign against North Vietnam dubbed Operation Rolling Thunder. Hence, they would call themselves “Rolling Thunder” a title that would endure time and be trademarked in 1990. Word spread quickly and by Memorial Day weekend in 1988, approximately 2,500 motorcycles from all over the country converged on Washington, D.C. to demand from our leaders a full accounting of all POW/MIAs. As the Founders of Rolling Thunder made their stand that day in front of the Capitol, they reflected thankfully for the people who came in support of the POW/ MIAs and for the unity that was felt. This was Rolling Thunder’s first demonstration. Only until ALL POW/MIAs ARE ACCOUNTED FOR, it will not be their last. On that day, the foundation was laid for the annual “Ride for Freedom” to the Vietnam Veteran’s Memorial Wall (also referred to as the “Ride to the Wall”). The number of participants/spectators in the Memorial Day weekend Ride for Freedom has grown from 2,500 to an estimated 900,000. Wow, wouldn’t that be fun to participate in? I think my kids would have been ecstatic to participate in such an event. 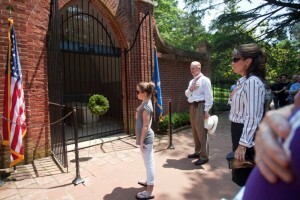 After it was over, they would have been excited to travel on a heritage trail, visiting Mount Vernon, Monticello and walking the streets of Philadelphia. From there, I would want to travel to Boston, and follow the path of Paul Revere’s ride, as he awakened the countryside to the approaching British army, which led, ultimately, to “the shot heard round the world” on April 19th, 1775. You see, kids love to learn about history. How many of you remember sitting at your grandfather’s knee while he reminisced about his youth? I was always enthralled to be around my grandfather. He brought history alive for me, with both his knowledge and his grace. He was the ultimate gentleman and never ventured out on a Sunday without a suit and tie. Today, we are being treated with another family’s similar story. Would you not love to be able to afford a motor-home to travel the country and show your kids all the things that we just talked about? Of course you would! I would have hand-painted signs to festoon our car to get the kids fired up about the vacation. Sarah Palin and her family are living the American dream. After participating in the “Rolling Thunder” rally in Washington D.C. yesterday, they have embarked on a tour to re-enact the foundational events that define us as a country. Where else would you go to learn about our founding besides the Northeast? It has to be the very first stop on a tour to appreciate our history. It too bad that the current residents of the area have forgotten our history. Perhaps Sarah and her family will change that in their search for knowledge and, hopefully, ours. According to a source with knowledge of Palin’s operation and thinking, keep a careful eye on how long the tour lasts, because it is intended as a way to test the presidential waters. If the road trip ends abruptly, it’s a sign she didn’t get the enthusiastic responses she believes she needs to launch a campaign. If the tour heads to regions outside of the Northeast like Iowa and South Carolina that, the source says, is a “big indicator” that Palin will pull the trigger. Palin’s trip to the nation’s first voting state — where she has not yet set foot this year –will further escalate the already feverish speculation that she is leaning toward a White House run. 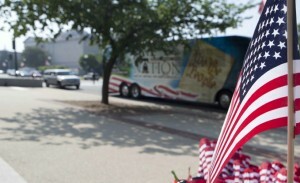 Though Palin has insisted that her “One Nation” bus tour — being kicked off from Washington over the holiday weekend — is intended merely to “highlight America’s foundation,” RCP has learned that the road trip was designed as a test run to find out whether she can execute a decidedly unconventional campaign game plan. Palin — and especially her husband, Todd — is said to be leaning toward running. But multiple sources said that their foremost remaining concern was whether it would be logistically feasible for their large family to hit the road together for the next several months in a prospective campaign that would rely heavily on bus travel. The answer to that question will play a critical role in how the 2012 race develops. A political Merry Prankster, Palin clearly relishes her unique ability to confound and surprise her prospective opponents, as she test-drives a possible presidential run that she and her team — with a discernible wink — have publicly billed as something akin to a mere sightseeing trip. I’ve said before that George Washington is my favorite Founding Father because he was reluctant to serve, and yet he rose to the great challenges before him. I can certainly see why he dreaded leaving his home on the Potomac. His servant’s heart is an inspiration to us all. There’s so much to learn and absorb at Mt. Vernon. Washington was a very busy man who had a healthy reluctance to serve as President after having dedicated so many precious years in service to others while he lead the military. When he accepted the call to be our nation’s first chief executive, he served for the right reasons. Though he loved his home at Mt. Vernon so much, this self-taught, “non politician” was willing to sacrifice his passion for farming, fishing, trade and commerce in order to answer another call of to lead the new nation. 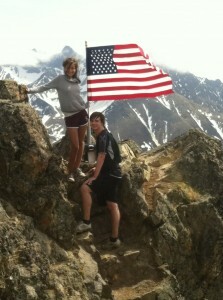 I encourage every American to travel east to Mt. Vernon. Beautiful. Educational. Inspiring. Worth it. And the caretakers and tour guides there are superb. They’re so proud that the estate, museum and gardens are privately operated and funded. Their patience with visitors and care for Washington’s land and possessions is a testament to their passion for restoring a part of America’s strong foundation. Their conscientious work is another reason to be proud to be American! The Archives and Mount Vernon. Can you tell I’m fired up?! As published at SarahPAC: Greetings from the road in Maryland! On this tour, when I speak of “fundamentally restoring our country”, that means restoring it to the ideals found in our charters of liberty. What a great morning we just had seeing the collection of these founding documents at the National Archives! Seeing America’s most historic documents is inspiring, and speaking with staff members who pour their hearts into educating visitors gives us great hope that our nation’s history will be accurately passed on to future generations. 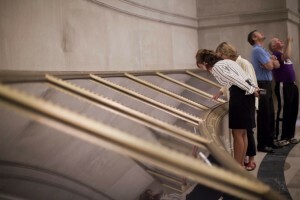 Many of the artifacts, recordings and documents on display at the National Archives are evidence of the patriotism and hard work poured into our foundation. These are nonpartisan, valuable historical tools we all need to see, read and absorb to learn the truth about our past, so we can move forward successfully. Too often our leaders today behave as if our charters of liberty are outdated, flawed documents from a distant and irrelevant past. They treat our Declaration of Independence and our Constitution as if they aren’t much more than old pieces of parchment with pretty words that can be twisted or ignored when it’s convenient. But these can’t be ignored! They point the way forward, like a needed compass that can guide us through the heady times we face as a country. These documents unite us! 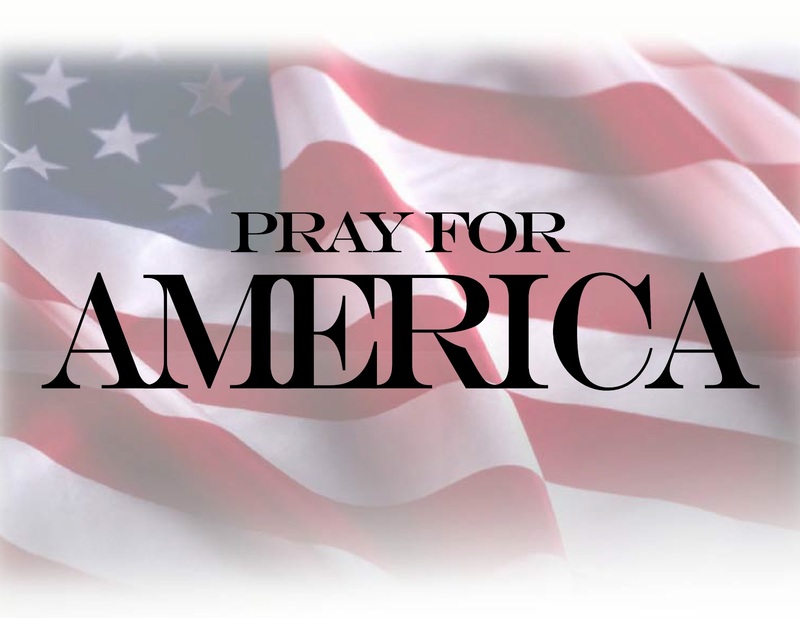 We ARE one nation under God, and we’re indivisible if we follow the blueprints our Founders drew for us. I am always in awe of every man and woman who serves. In the world we live in today, it’s inspiring to see these brave citizens who honor our nation with their sacrifices, so the rest of us can enjoy the life we do. 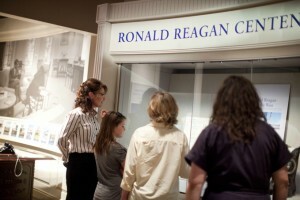 The above video of Ronald Reagan is particularly meaningful. He speaks about the soldiers of Vietnam, who served their nation honorably, but didn’t get the appreciation they deserved when they returned home. This is, and will always be one of our nation’s great injustices. To celebrate America and our vets today, please send us a photo of you, your family or community celebrating this Memorial Day weekend, and we’ll post our favorites here on SarahPAC’s website. 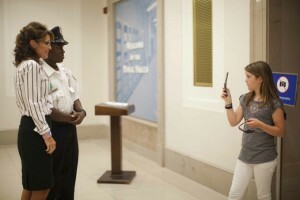 You can send your photo to photos@sarahpac.com with a brief caption explaining it (your name, location, etc.) and permission to use your photo on our website. Sarah Palin knows how to create a stir. With the announcement of her national bus tour, media outlets are grappling to be the first to find out specifics. Where is she heading? Will she speak? Is this the beginning of a possible 2012 run? The media might claim to hate her, but they certainly can’t get enough of her. Palin kicked off the tour on Sunday, not riding on the bus, but rather a Harley. Palin roared down Constitution Avenue in the Rolling Thunder motorcycle rally, an event to raise awareness about prisoners of war and those missing in action. Although some Rolling Thunder organizers were displeased of Palin’s attendance, Ben Smith of Politico found out that Palin did not go uninvited as she was the guest of an Alaska veterans group. But invited or not, organizers should have welcomed Palin’s presence as she brought positive publicity to the cause and brought attention to POWs and MIAs. She didn’t give a speech and steered away from politics for the day, focusing on shaking hands and thanking the families of those who make the ultimate sacrifice to make this the greatest country on earth. 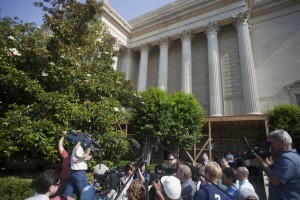 The day certainly set the tone for Palin’s plans for the tour (at least what we know of it.) 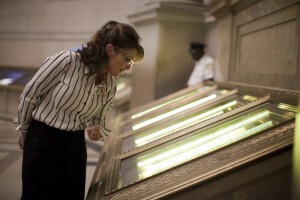 To “celebrate the good things that bring Americans together; those things that will give us the needed strength to meet the heady challenges ahead.” Although Palin’s tour continues to remain a mystery, Palin has updated everyone through the SarahPac website, informing everyone that after the rally, she took an incognito tour of some of our national monuments. So what’s with all the attention? Don Surber at the Daily Mail nailed it on the head when he said, “Sarah Palin takes a little motorcycle ride in Washington and suddenly politics is fun again.” Let’s face it, we’re all on pins and needles waiting for the 2012 field to take shape. Who will jump to the front of the line in what will be a neck and neck race? Politics is about winning over voters with charisma and inspiring speeches. It’s about raising attention and having a vision for the future of our country. It’s about getting people talking and garnering attention. Palin has done that and shaken up a race in which she hasn’t even announced her intentions. Many can contend that the former Governor of Alaska is unelectable, but after stealing the thunder from other contenders in the GOP field this weekend, Palin continues to prove that if she wants, she can have a hand in the restoration of all that is good and strong and free in America. Anti-Palin books are tanking on bestseller lists, perhaps a sign that Americans are sick and tired of attacks on Palin’s credibility.